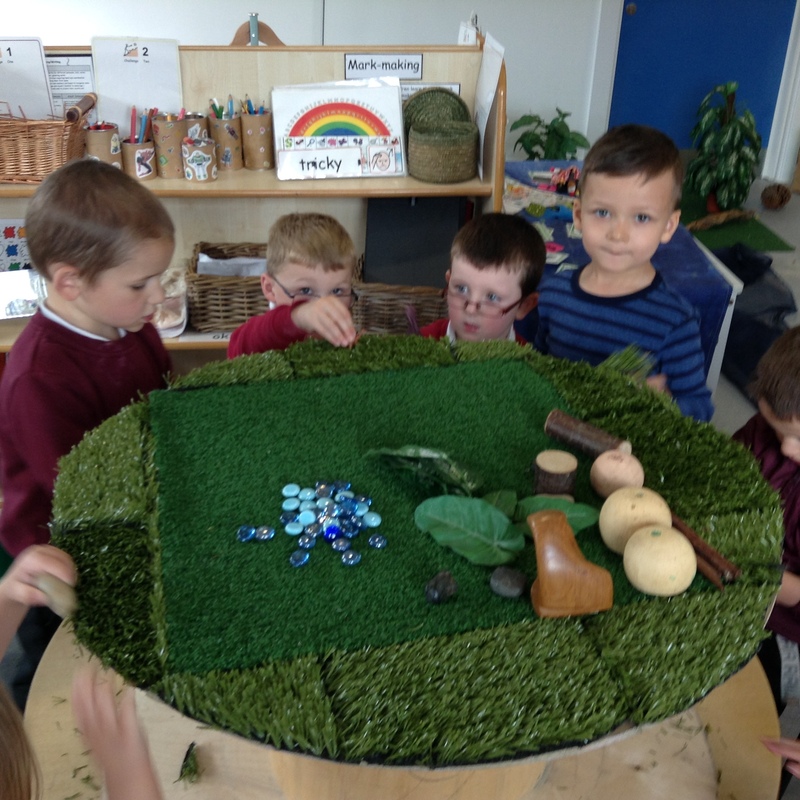 For the last few weeks in nursery we have been thinking all about story telling. First we used small world characters to tell stories with puppets, fairytale characters and some characters from our favourite movies. 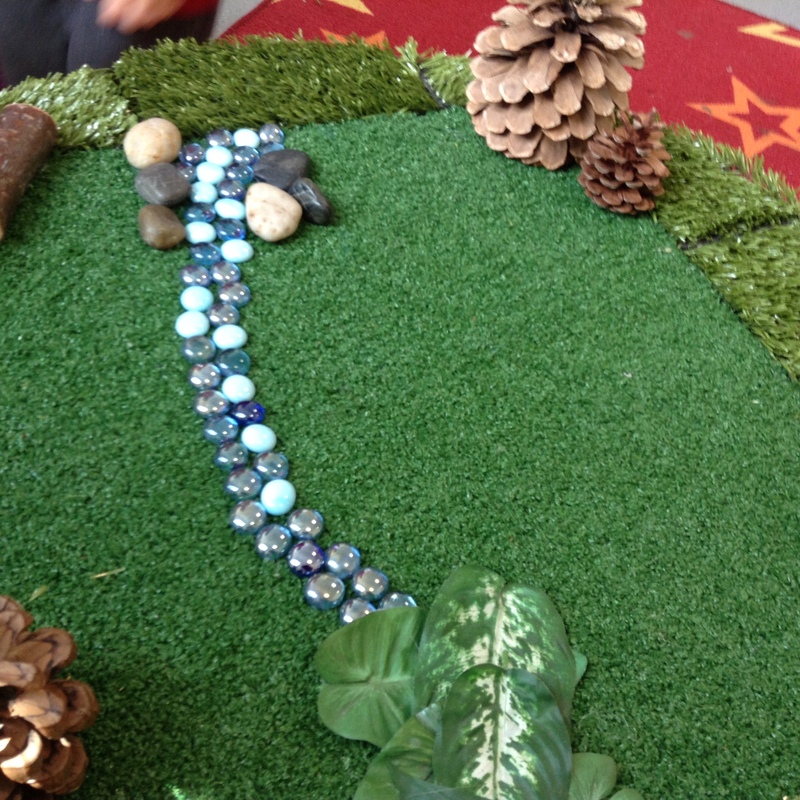 We added story stones to help us think of ideas for our story and extra props like magic wands and beanstalks. Then we decided to be the characters in our story. We dressed up as the different characters we wanted to be and acted out stories. Then we used the Ipad ‘Storytime’ App. We took photos and created a book. What a lot of story telling! 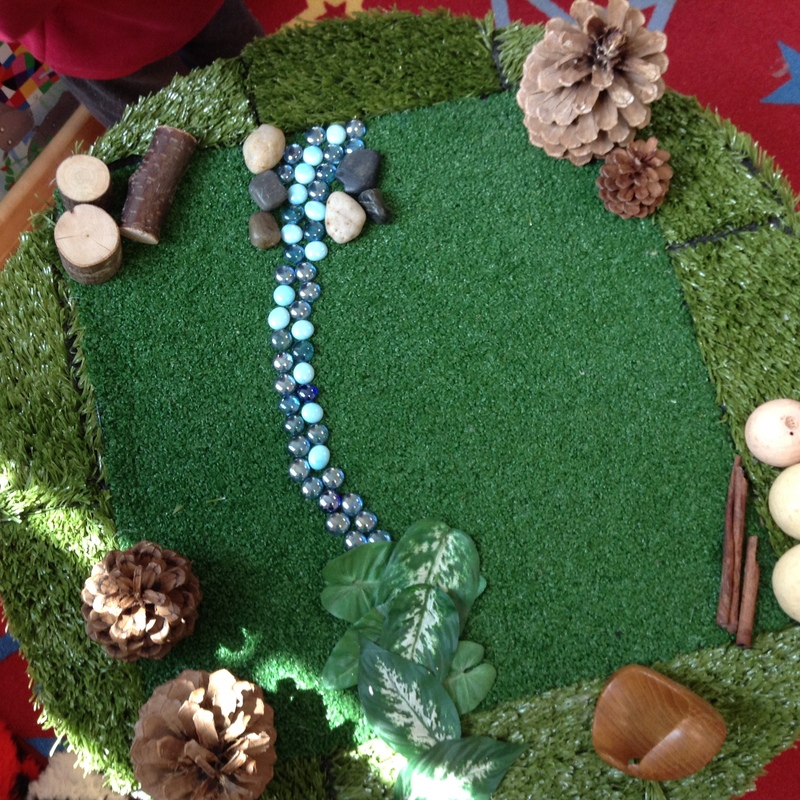 Over the past few weeks we have noticed the children’s story telling improving a lot. The children tell more stories when they are dressed up. Even the quietest children have started to give the small world characters voices and began to tell simple stories with them. When reading books the children have been looking at pictures and beginning to make up their own stories. Some children have even being trying to draw and write their own stories in the mark making area! When children are playing with their toys (dolls, cars, superheroes), this is a great chance to encourage children to tell you about what is happening to the characters. Encourage children to tell you what might happen next, after that and how the story might end. 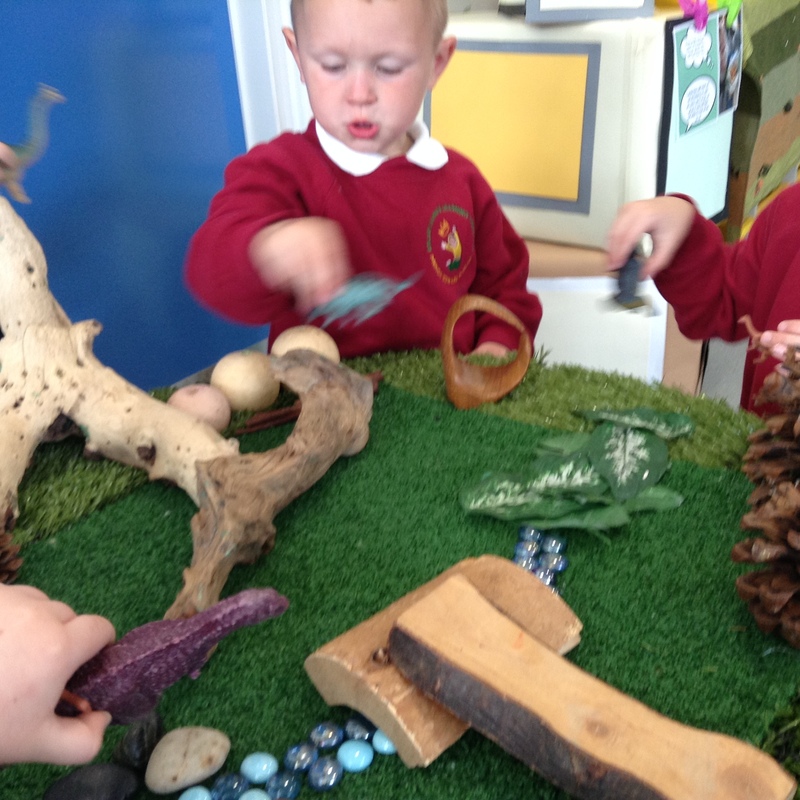 When you are sharing stories talk to children about what they can see happening in the pictures. Encourage children to use them to tell their own story. 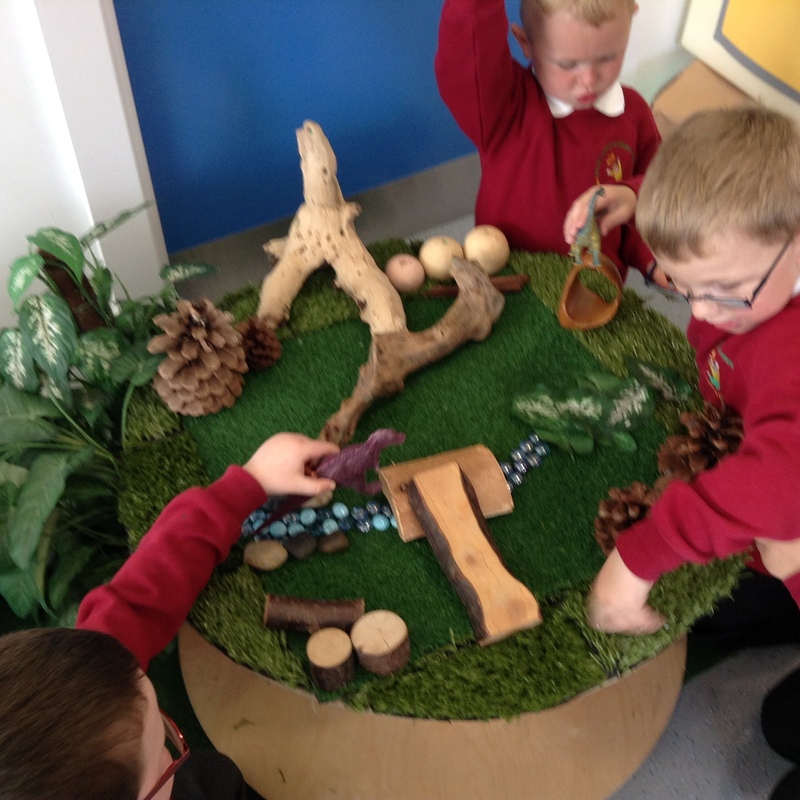 Something very exciting arrived in our classroom this week…a giant cable drum. 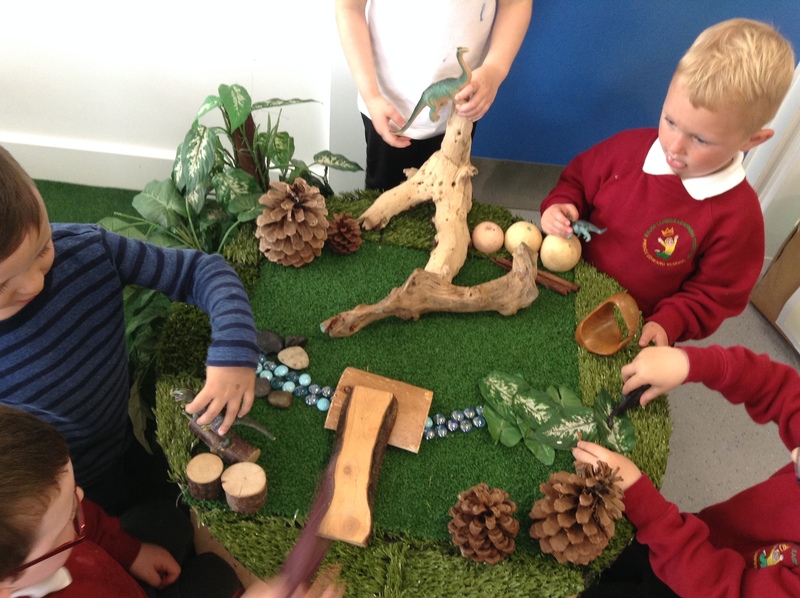 We had a think about what we wanted to use it for and decided that it could be a home for the dinosaurs. 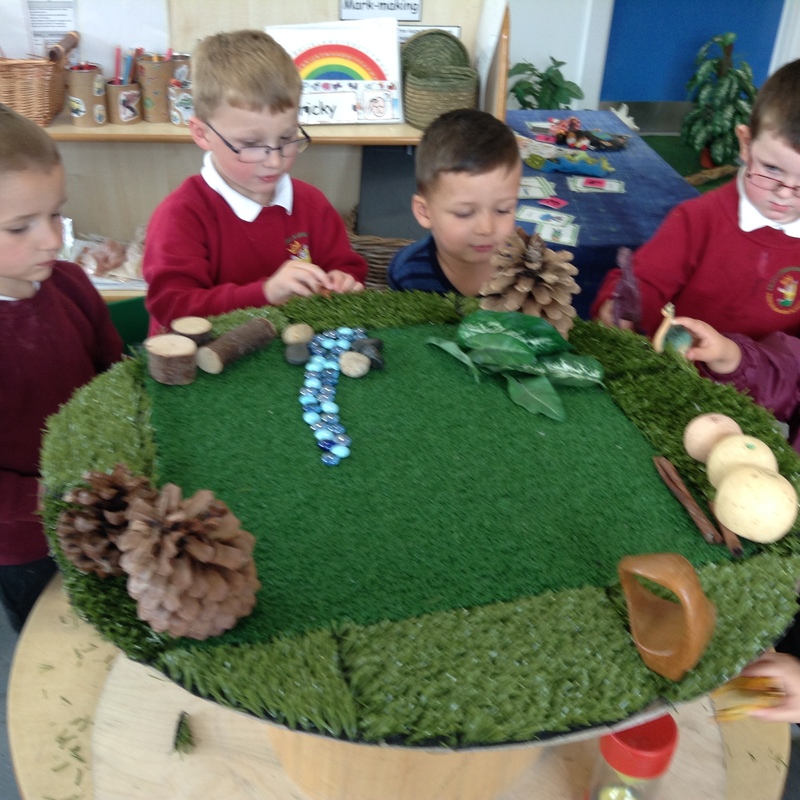 We found grass to add to the drum, then we thought they might need some extra trees and water. 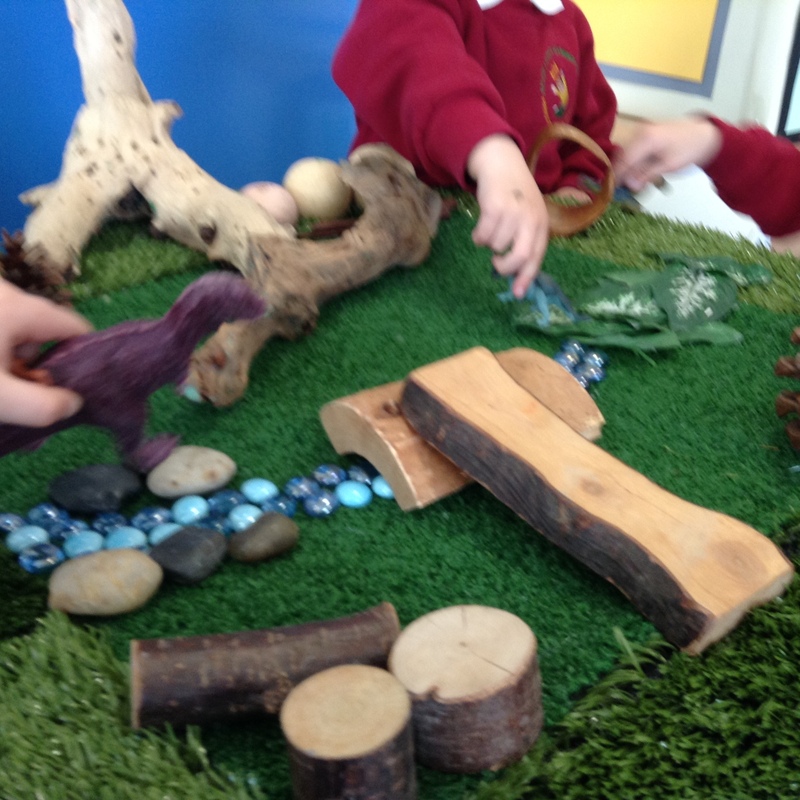 We searched our classroom for pebbles, sticks, beads and leaves to make our dinosaur small world area. 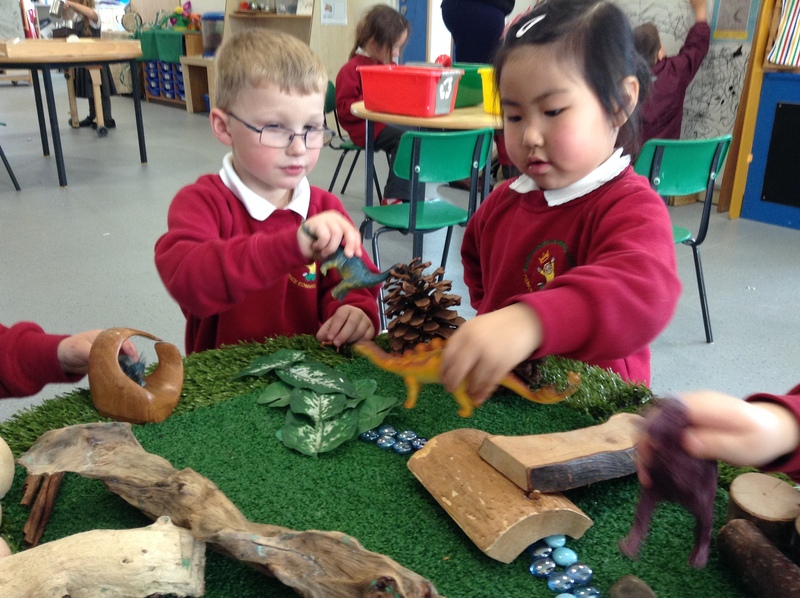 When we finished we used the dinosaurs in our new area to tell some exciting stories!